Inelo – payroll processing of drivers > Aktualności > Spain – penalties for taking rest in the cabin to be introduced soon? 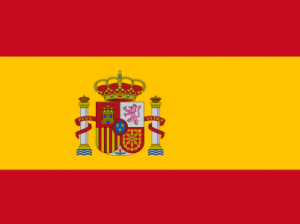 Spain – penalties for taking rest in the cabin to be introduced soon? Most likely from 1 July 2018 also in Spain drivers will receive penalties for taking a regular weekly rest period in the cabin. Since last year, Spain has been preparing an amendment to the regulation governing land transport legislation, the so-called ROTT (Reglamento que regula la Ley de Ordenación de los Transportes Terrestres). The planned changes will concern mainly Directive 403/2016, road tolls and market access for small carriers. The additional regulation is a consequence of the judgement by the Court of Justice of the European Union of 20 December 2017. The CJEU issued then a ruling prohibiting taking of regular weekly rest periods in the cabin of the vehicle. The Court also obliged the Member States to take measures to ensure compliance with the European legislation, by applying appropriate sanctions. Until now, the penalties have been officially introduced by Belgium, France, the United Kingdom, the Netherlands and Germany, joined also by Italy in May. The new regulations – since when? Fenadismer, the Spanish federation of transport associations, asked the government to introduce the regulation immediately. In the statement, the Ministry of Development confirmed the creation of appropriate provisions in the draft amendment of the executive regulation to the land transport legislation. They are initially scheduled to come into force on 1 July 2018, when they will be published in the Spanish official journal BOE (Boletín Oficial del Estado). It is possible, however, that their implementation may be postponed even until the beginning of the next year.